” Calling All Early Bird Hunters ! ” The first three hundred entries until the 1st June 2019. On what is a largely flat and traffic-free course with entirely closed tarmac roads. The route is a one-lap course taking runners through the wonderfully scenic parish of Haresfield and Colethrop village. Runners of all abilities are welcome including club athletes, elites, recreational runners and charity runners who are encouraged to raise money for good causes. 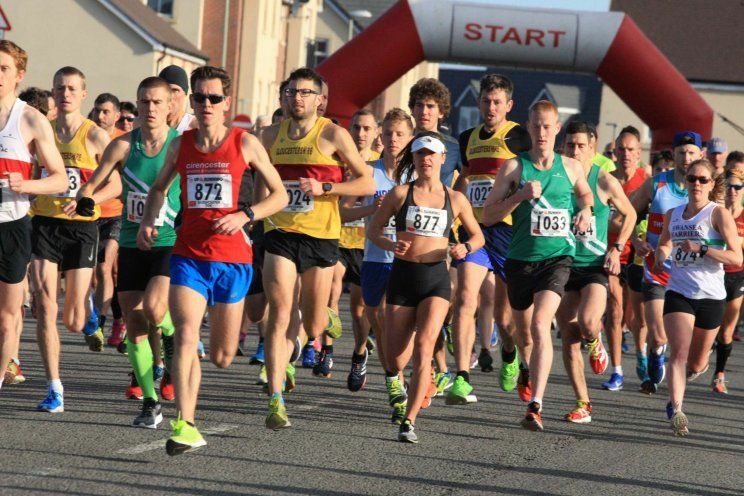 This year’s Gloucester 10K will incorporate the South West of England Inter Counties Championship for individuals and teams. The event is fully inclusive with a 10K wheelchair race. Minimum age is 15 years of age on race day. Road closures have necessitated an increase in this year’s entry fee but this will include a free Tech T Shirt for all competitors and a special designed Medal. Join competitors from all over the UK on what will be one of the top events of 2019. Event Protect Insurance cover is included within your entry fee for this race. For further information of the cover being provided by through Allianz Insurance please read section below. Norman Wilson, Race Director, was awarded the from the World Governing body the International Careers Award in Croatia. This career award has been established since 2014 to recognise for tireless ultra running enthusiasts who have worked long and hard to increase the profile of national and international ultra running. This prestigious honour recognises the hard work and dedication in developing and promoting the sport over the years. We are committed to honouring the individuals who have paved the way of the sport for the future. During the 2018 IAU Congress that took place on September 7 at Sveti Martin Na Muri, Croatia. Norman Wilson was awarded the Careers Award.